Cameron H. Piggott is the immediate past Director of Dykema's Real Estate and Environmental Department. He also has served on the Firm's management committee. He practices general real estate law, with an emphasis on commercial and residential development, leasing, construction, public/private projects, complex real estate transactions, real estate workouts and foreclosures, transit oriented development and renewable energy. Mr. Piggott has been involved in all aspects of complex real estate transactions, in which he has represented developers, users, lenders, manufacturers, investors, municipalities and other public bodies. For many years Mr. Piggott was the lead attorney for Renaissance Center Venture, culminating in the sale of Renaissance Center to General Motors Corporation. He also was the lead attorney on behalf of Majestic Star Casino in connection with the establishment of a joint venture with Trump, Inc. for riverboat gaming at Buffington Harbor in Gary, Indiana. He has been involved in a number of complex public/private projects, including redevelopment projects in Detroit, Dearborn, Kalamazoo, and other municipalities, as well as in the sale, development, financing or operation of power plants and renewable energy projects. Mr. Piggott is general counsel to M-1 RAIL, a nonprofit corporation supported by Detroit-area business and philanthropic leaders, which is constructing a streetcar system in downtown Detroit. M-1 RAIL is the first significant transit project in more than fifty years that is being funded primarily from private sources, and is viewed as a model for future public-private transit projects. 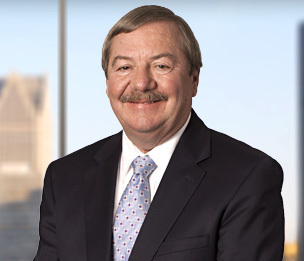 Mr. Piggott also serves as general counsel to Downtown Detroit Partnership, Inc., the leading CEO organization in Detroit, and is on DDP’s Board of Directors and Executive Committee. Mr. Piggott has lectured for the Real Property Law Section of the Michigan State Bar, Federal Publications and other bar or professional associations. He also was a principal author of the Michigan legislation that authorizes business improvement districts, and was a leader in the successful effort to establish the Downtown Detroit Business Improvement Zone. Mr. Piggott is a Fellow, American College of Real Estate Lawyers. He also is a member of the Detroit Metropolitan Bar Association and the State Bar of Michigan. Serves on the Board of Directors and Executive Committee of Downtown Detroit Partnership, Inc. Serves on the Board of Directors of Detroit Belle Isle Grand Prix, Inc. Served on the Board of Directors (including as Chairman of the Board) of Tomorrow’s Child/Michigan SIDs, Inc.